We are excited to share with you this "first of its kind ever" course on the Book of Revelation. Why do we say "first of its kind ever" ? The reason is because the wonderful Christian teachings and books written about the Book of Revelation are from a Greco-Roman perspective. Yet the Book of Revelation was written by a Jewish Seer, not a Western scholar. Furthermore, many of our prophecy teachings and books focus on the sensational rather than the actual historical events that led to John's vision. 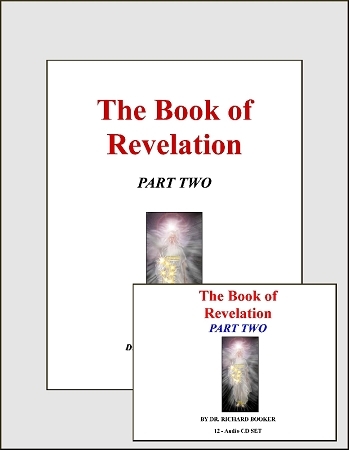 After many years of research, Dr. Booker has developed 3 powerful and insightful 12 Lesson courses on the Book of Revelation interpreting it and explaining it from its historical background and Hebraic-Jewish roots. He explains the events that were taking place that led to John receiving his vision and interprets John's vision as it would have been understood by the readers of his time while teaching us how to live as an over comer. Dr. Booker has divided this course into three 12-Lesson classes.